Sometimes you get the most gorgeous colors in polymer clay just by playing around. This super-easy color palette was a “happy accident” I came upon while making my Lily cane. (See the cane here). The combination of the orange and fuchsia colors make a deep red, almost berry color. 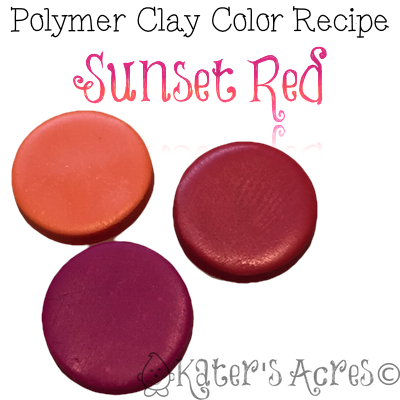 Not only is this a very simple polymer clay color recipe, but these two colors of clay are readily available, even in the big box stores like Hobby Lobby, Pat Catan’s, & others.